This is a form letter sent in reply to fans who wrote to ITC. Thanks to Mark Shaw. 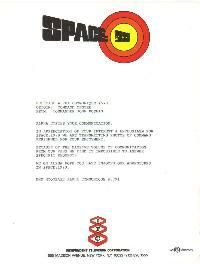 IN APPRECIATION OF YOUR INTEREST & ENTHUSIASM FOR SPACE: 1999 WE ARE TRANSMITTING PHOTOS OF COMMAND PERSONNEL FOR YOUR ENJOYMENT. BECAUSE OF THE MASSIVE VOLUME OF COMMUNICATION FROM OUR FANS WE FIND IT IMPOSSIBLE TO ANSWER SPECIFIC REQUESTS. 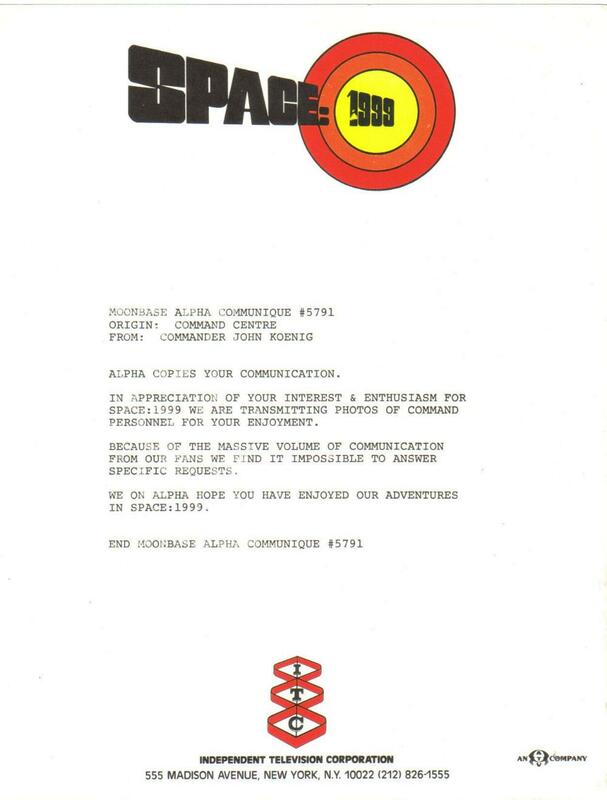 WE ON ALPHA HOPE YOU HAVE ENJOYED OUR ADVENTURES IN SPACE: 1999. Copyright Martin Willey. Thanks to Mark Shaw.